Lure angling in the UK is more popular now than ever before. At one time we relied very heavily on the USA to lead the way and a little later we also looked to our European cousins to give us guidance. Now, however we are learning the ropes and catching plenty of fish using a variety of methods and we can boast to have some pretty proficient lure anglers from our shores. For those who are new to luring or perhaps dabble a little when the dead baits are failing I will try to shed some light onto what was once the ‘dark art’ of predator fishing. There are many specialist aspects to lure angling such as jerk baiting, ultra light and drop shotting but the best way to start out in lure fishing is to buy a general purpose outfit that can cover a multitude of venues, situations and predator species. The first decision is whether to go for a baitcasting (small multiplier) outfit or a spinning outfit (fixed spool). While there are many advantages of the baitcaster outfit such as the way the line flows freely directly from the spool or the instant control of thumbing the spool I would still recommend the fixed spool for the beginner. Most anglers are already experienced with the physics and ergonomics of a fixed spool set up and it is easier to cast in the tight, confined swims that may be encountered. A lure rod does not need to be long, indeed a long rod will hinder the ability to impart action into the lure and too much length will also reduce a lot of the ‘feedback’ from the lure. I would opt for a rod between 6’ 6” and 7’6”, the longer option giving a slight advantage when retrieving parallel along a reedy margin. 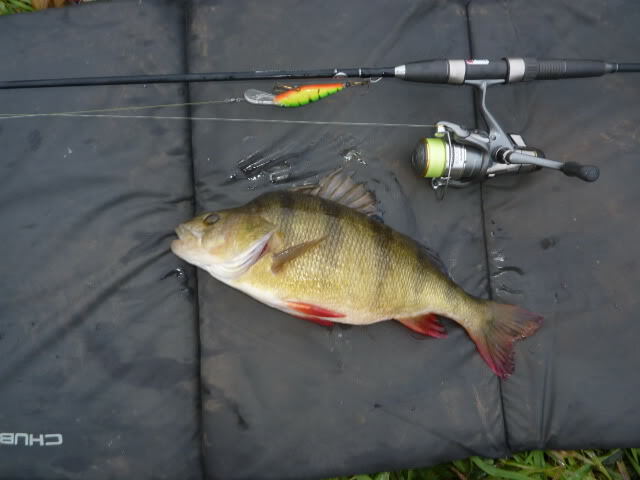 The rods power and action is critical, spinning rods used to be built on soft ‘through’ actions meaning that the rod had an awful lot of flex, these days most lure rods sport a fast, stiff blank – ideal for imparting action in to and keeping contact with the lure. Unfortunately rod manufacturers seem to use different scales and an extra fast action from one producer might equate to a medium fast from another, you really need to try some or check out some reputable reviews. Casting weight can again be very variable from one rod company to the next but for a general purpose outfit go for somewhere around 10-30g, perhaps heavier if your venues are larger lakes and rivers. I would personally recommend the Team Dragon range, especially the Guide Select Buster 7-28g or Team Dragon 10-28g, each throwing a little heavier than their stated casting range. So we have our rod, now let’s look at reel. 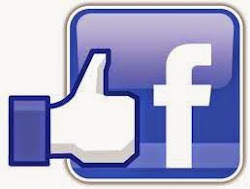 There are loads of very good reels on the market today. Shimano and ABU are very popular but by no means the only choice. For our rod choice you will need a reel around the Shimano 2500 – 4000 size, perhaps around 280 – 310 grams should balance the outfit. I prefer rear drag but many lure anglers opt for front drag. 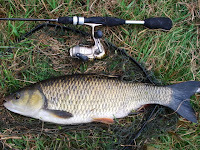 Price wise, it’s up to you – lure fishing demands more casts than any other type of angling so a cheaper reel will wear out sooner and the old adage ‘buy cheap buy twice’ springs to mind, but there are some very good reels around the £40 - £80 price bracket and I thoroughly recommend the Shimano Exage. Line wise it’s a simple choice. There is only one option - Braid. I used mono many moons ago and also tried Shimano Technium as a low stretch option but once I got my hands on braid I have never looked back. Braid is low memory, low stretch and low diameter – perfect for luring. Over the years I have used Tiger Braid, Spider Wire, Power Cable and many others but in the last five years Power Pro has been my mainstay. I am now experimenting with some ‘top drawer’ PE (Poly-ethylene)braids that offer even lower diameter than standard dyneema braids and very low friction through the rings meaning really effortless casts when using light lures, could be the way forward. For our 10-30g outfit I would go for 30lb braid, while 20lb might be sufficient you might need that little extra strength for pulling lures out of snags. Complete the outfit with a good quality 30lb wire trace and we are ready to go. Spinners; Everybody knows the spinner and even the most occasional lure angler will possess a spinner or two. Easy to use, spinners are basically a cast and retrieve bait but the odd pause on the retrieve allowing the lure to flutter down for a couple of seconds can trigger a take from a following pike. I generally use gold and silver but have caught a lot of fish on fluo yellow. I recommend Mepps Aglia size 5, Rublex Ondex size 6 and Mepps Lusox sizes 2 and 3, but again check out Dragon products as they now have a vast range of quality spinners. Spoons; Very much out of vogue but still capable of banking some real lunkers, it is always worth having a spoon or two in your bag. While you can simply retrieve a spoon allowing it to flutter its way back to you I personally impart a lot of taps and light jerks to give a random fluttering, flashing action. I generally use 28g Atlantic spoons in metallic finishes but another favourite is the ABU Toby and the Kuusamo. Spinnerbaits; The coat hanger lure, built on a wire frame with spinner blades on the top wire and the jig head and skirted grub on the bottom wire, the spinner bait is something of a ‘marmite’ lure. It has the advantage of being relatively weedless and creates quite a lot of commotion with both visual flash and plenty of throbbing vibration. These baits give a lot of resistance on the retrieve so our chosen 30g max cast weight rod might suit 15-20g max bait weight. All of my spinnerbaits have been made for me so I cannot recommend a brand. Crankbaits; Jointed or single bodied, floating, suspending or sinking, crankbaits or ‘plugs’ as they used to be known are another ‘must have’ in any lure collection. The characteristic lip or diving vane is responsible for imparting the ‘wobble’ and also for determining the diving depth. I generally opt for floating divers as these can be fished slowly near the surface or ‘cranked’ down (hence the name) to the bottom. Like all other lures, a straight retrieve will work but some occasional variation to make the lure keel and flash is beneficial. Some personal favourites are the Gloog Ares, the Bomber Long ‘A’ and the ABU Tormentor. Swimbaits; Relatively new kids on the block are the jointed ‘hard’ swimbaits. Characterised by fish shaped profile, jointed bodies and often (but not always) the lack of a diving vane these baits are very life-like in the water, although some of the double and triple jointed appear more serpentine or eel like in their action. I prefer suspending versions that I can fish slowly through the water layers, again adding taps and jerks to give the appearance of a fleeing or sick prey fish. My personal favourites are the 13cm Savage Gear 4 Play, the 10cm (4”) Spro BBZ and the River 2 Sea V joint. Jigs/Soft baits; A very much favoured winter method, jigging gets the bait bouncing along the bottom, ideal for rousing those lethargic toothy critters during cold conditions. There are many bait types to choose from, shads (rubber fish), twin tailed grubs, curly tailed grubs, worms and creatures. For the beginner I would suggest starting off with paddle tailed shads such as the Relax Kopyto or the Dragon Phantom and perhaps a few twin tailed grubs. Size wise our outfit will suit 3” and 4”. Regarding the jig head itself the general rule of thumb is match the hook size with the shad length in inches i.e. 1/0 hook for 1” shad, so our 3” shad requires a 3/0 hook and likewise our 4” requires a 4/0 hook. Jig head weight will vary according to the venue, to suit our 3 and 4 inch shads I would recommend 7, 10 and 14 gram jig heads. The important thing is that you can ‘feel’ you bait on the bottom and remain in contact with it on the retrieve – this is where the design and quality of the rod blank can make a huge difference. Mini Jerk Baits; While we often think of jerk baiting as being a heavy gear method there has recently been a move towards mini jerk baits. These baits generally have no in built action and require the angler to make them dance with a wind, tap, wind, tap method. Our chosen rod blank should be sufficient to impart the required action to make these little baits zig-zag through the water in an erratic manner. I recommend the Salmo Micro Slider, the Savage Gear 10 cm Belly-up Deviator, indeed a fishing buddy of mine has often come up with the goods using the Micro Slider, when those of us not carrying the bait have blanked. 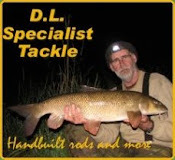 Unhooking Gear; A landing net is obviously essential, go for a purpose built lure fishing net with larger, snag proof (relatively) mesh; it needs to be pretty big as there is always the chance of a double figure pike snaffling your small lure. Good quality forceps for fine wire hooks and a decent pair of long nosed pliers for thicker gauge hooks are essential. While an unhooking mat is rather cumbersome for our mobile method I always carry a small mat for use on stony banks and tow paths, it doubles up as a great kneeling mat on small waters where I will often cast and retrieve in a kneeling position to stay off the sky line. So there we have it, some advice on choosing an outfit and also a quick glimpse at a half a dozen lure types. Similarly to the fly fisherman or perhaps the bait fisher stalking for chub, the other essential tool the budding lure angler needs is the skill of field craft. Read the water, understand what is happening within the eddies and slack water, search out those undercut banks and overhanging trees that will be a magnet from which the predator will be waiting to ambush it’s hapless victims – and your lure. Walk silently along the bank, gently lay the landing net down at each swim and keep your profile off the sky line. Be confident, imagine those predators lying just below your retrieve path, they are there, your lure really is passing in close proximity to many predators, you just need to persuade them to lunge themselves at your lure.